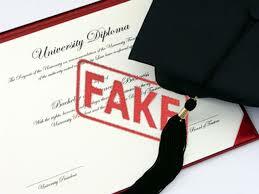 Even as investigating agencies continue to bust rackets pertaining to fake degree certificates especially in Bangalore University, a journalist from Kerala has invited trouble for himself by using a fake degree certificate of Bangalore University for immigration clearance. Recently, based on a complaint filed by the Kozhikode Regional Passport Office, Deepak Kalathil, working for a prominent regional TV channel in Kochi, was booked for submitting a fake degree certificate. He is a resident of Dharmadam in Kannur district. Deepak had allegedly obtained Bangalore University’s BA degree certificate (History, Economics and Political Science) and its marks card bearing Reg No. 03BGA01066. He had submitted this fake degree certificate for emigration clearance. When photocopies of the marks card where sent to the Registrar (Evaluation), Bangalore University, on Sept 3, the university maintained that the register number does not exist in its registers and asked the candidate to submit an original marks card for further verification. Dharmadam police have booked a case under various sections of Indian Passport (IP) Act and Indian Penal Code (IPC). An FIR has been submitted to the Thalassery Judicial First Class Magistrate Court with charges under Sections 468, 471, 419 of the IPC and 12 (b) of IP Act.